When on a Hawaiian holiday, being close to the beach is a must! Right in the centre of the action, Alohilani Resort Waikiki Beach is the ideal accommodation from which to explore Honolulu. From here you can dine in all the best restaurants, shop to your heart’s content, relax on the beach, catch some waves in the birthplace of surfing or discover the fascinating Hawaiian culture. All this while enjoying the relaxing pace of island life? It doesn’t get much better than that! 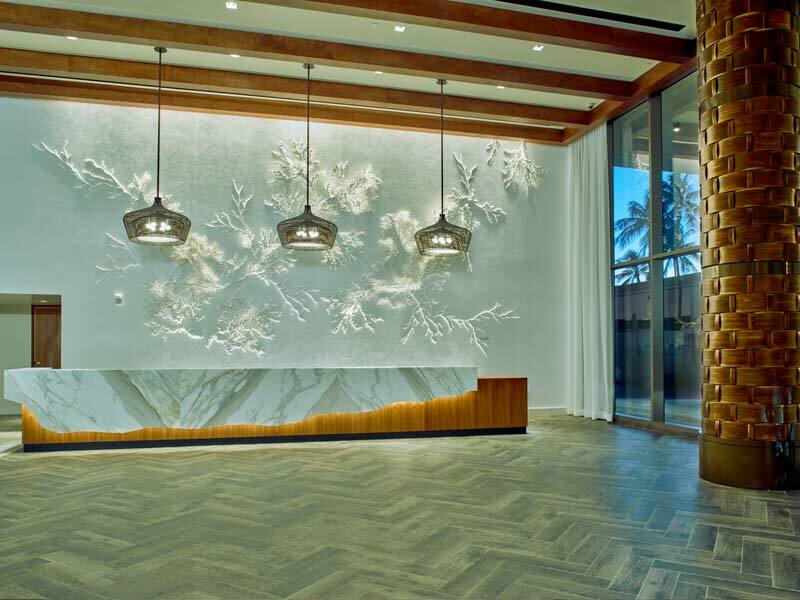 Just a hop, skip and a jump from the white sandy beaches of Waikiki, Alohilani Resort Waikiki Beach offers luxury accommodation and a chic tranquil vibe. 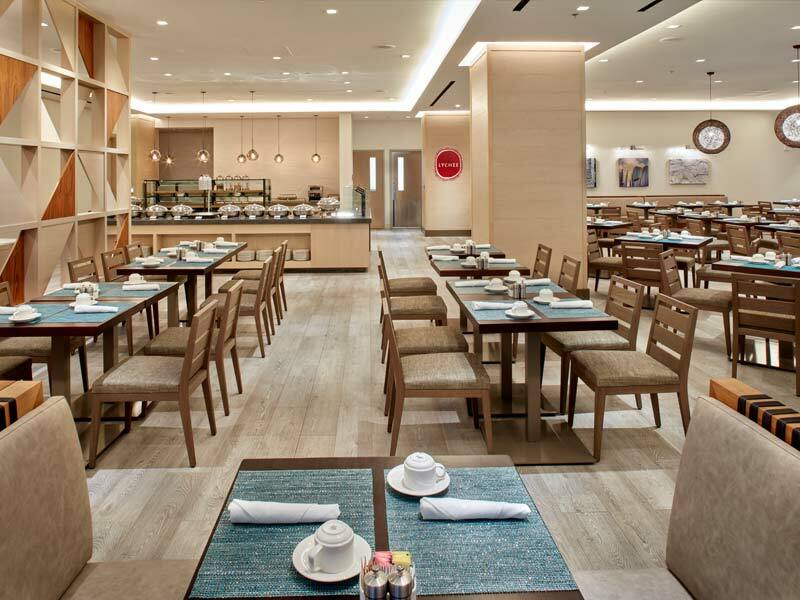 With two fantastic dining options and amazing views over the Pacific Ocean, you’ll be immediately at peace when you check-in here! Whether you are after a romantic getaway for two or an exciting holiday which provides quality time with the kids, Alohilani Resort Waikiki Beach is for you. The newly renovated resort boasts a rooftop infinity pool with ocean views, fitness centre, a day spa and wellness facilities. On top of this, there’s a dedicated kids pool and childcare facilities. The sights and sounds of Waikiki are right on your doorstep making it easy to get the full Hawaiian experience at this exceptional resort. If you don’t fancy venturing out after a few days of exploring the island, the resort offers everything you need. From nightly entertainment at the vibrant Swell Pool Bar, to a two-story high saltwater Oceanarium which houses a huge variety of local Hawaiian reef fish, there’s plenty to see and do! If you are spending the day relaxing at the resort, make sure to catch the fish feedings at 10.30am and 2.30pm. Why go to Alohilani Resort Waikiki Beach? Whether you are travelling to Hawaii to snorkel with sea turtles, learn to dance the hula or pick up a bargain at the outlet malls, you can’t go wrong with the Alohilani Resort Waikiki Beach. Ideally located for any kind of Hawaiian holiday, the resort boasts modern well-appointed rooms and a fantastic range of facilities including a rooftop pool, kids pool, and fitness centre. 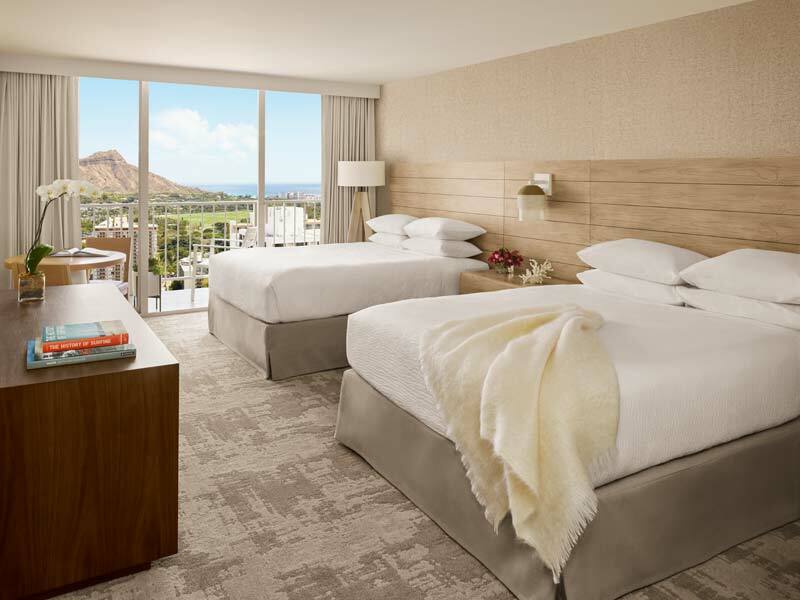 Blending chic modern designs with traditional Hawaiian vibes, the Partial Ocean View room sleeps 4 adults in 2 Queen beds (King bed option available). It is the perfect option if you are travelling on a budget. Spread out to enjoy the luxurious 31sq. metre interior or bask in the tropical breezes on the ocean-facing private furnished balcony. 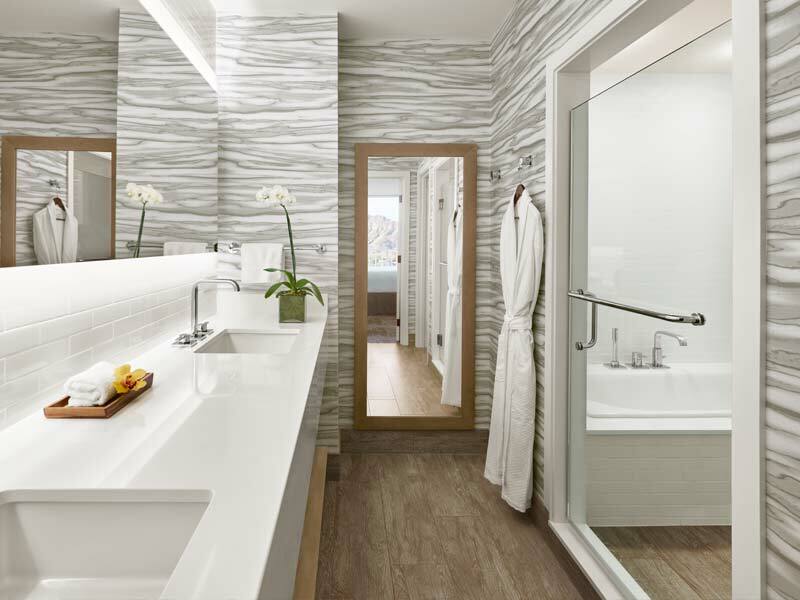 Providing all the amenities you would expect from a newly refurbished luxury resort, such as free Wi-Fi, a flat-screen TV, en suite bathroom, complimentary toiletries, air conditioning and a small living area, you will find everything you could ever need! With an uninterrupted view of the Pacific Ocean and lively Waikiki Beach, you could spend hours sitting on your private furnished balcony, just watching the world go by. Ocean View Rooms offer 31sq. metres of luxuriously furnished space. They can accommodate 4 adults in 2 Queen beds, or a King bed option is available. All rooms come with free Wi-Fi, a flat-screen TV, en suite bathroom, complimentary toiletries, air conditioning and a small living area. Measuring 31 sq. metres, Diamond Head Ocean View Room come with either 2 Queen beds or 1 King. They are plush, luxurious and can accommodate up to 3 adults. 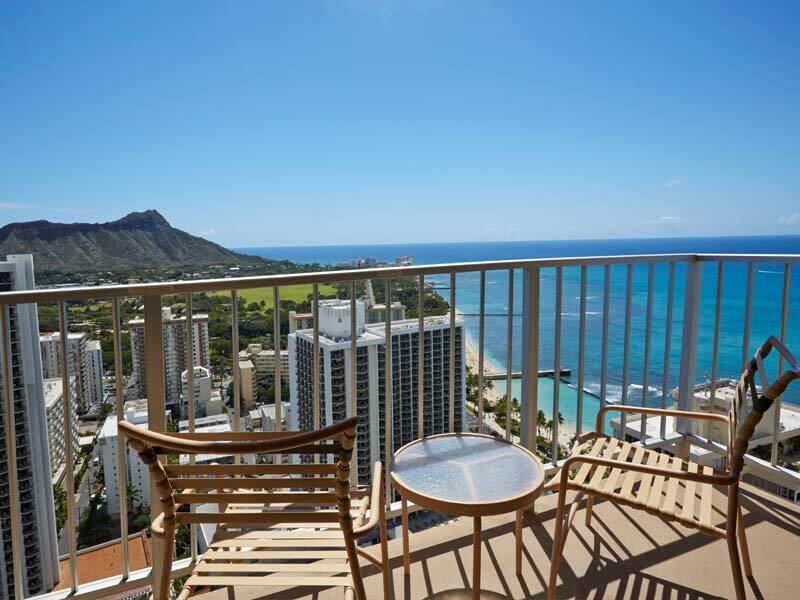 Offering views of the world-famous Waikiki Beach, Pacific Ocean and Diamond Head volcano crater, you can enjoy an unbeatable sense of place from your own private furnished balcony! These rooms boast air conditioning, an en suite bathroom, tea and coffee making facilities and a fridge. 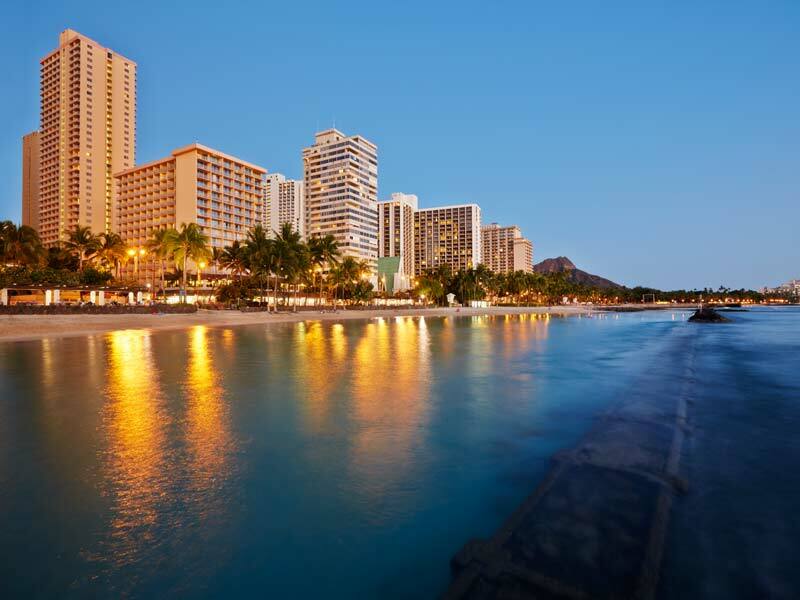 Located on Honolulu, the largest of the Hawaiian Islands, Alohilani Resort Waikiki Beach is in a great location. Whether you plan to spend your entire Hawaiian holiday in Waikiki, travel to other parts of the island, join a cruise ship or island hop to neighbouring islands; this resort is perfect! Ideally situated just 60 steps from the iconic Waikiki Beach, this incredible resort is also close to the cruise terminal, airport (approximately 20-minutes’ drive), and a host of famous attractions of Waikiki. 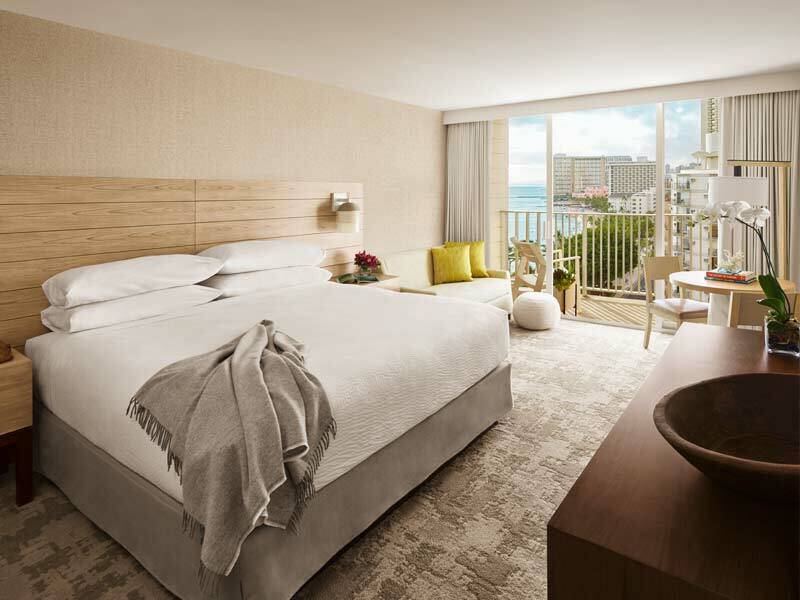 You will be spoilt for choice when it comes to things to do in Waikiki, plus you’ll be able to see many of the amazing activities from your sun lounge next to the rooftop pool! Visit the iconic Diamond Head (Lēʻahi) volcano or learn to surf on Waikiki Beach then enjoy a cocktail or two at one of the many beachfront happy hours. There are also a huge range of shopping and dining opportunities nearby, some within walking distance and others a short bus ride or drive away. If you are in Waikiki on a Friday, don’t miss the free fireworks display on the beach! A little further afield you can explore the historical site of the Pearl Harbour bombings in WWII. Visit too, spectacular waterfalls, rainforests and swimming holes, or head up to the North Shore to see the huge waves and incredible locals that surf them. If you love nature, a Hawaiian holiday is a must. There are plenty of opportunities to spot wildlife on Honolulu; take a sunset boat trip to see the dolphins or perhaps snorkel with sea turtles and tropical fish. There are a multitude of events year-round in Waikiki and around the island. Make sure to ask our Hawaii Holiday Experts which events are happening during your visit! My husband and I just spent 16 nights at the hotel. The staff went out of their way to help. The location is right opposite the beach. The rooms are very stylish and comfortable, with amazing views, and cleaned to such a great standard every day. Doug the valet was always welcoming and helped us with anything we needed. He has great knowledge of Hawaii. 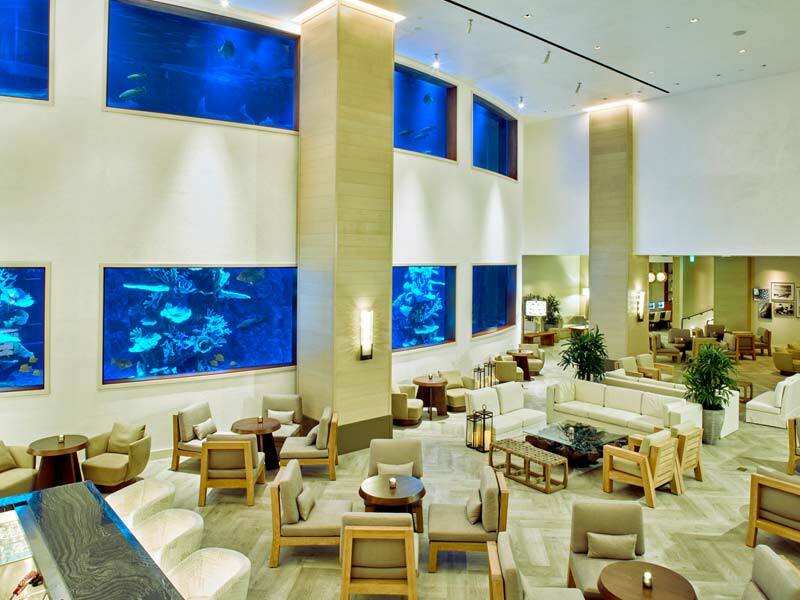 The O Bar has a wonderful atmosphere where you can just relax in front of the large aquarium. You could sit and have a cappuccino or a drink. All the staff were friendly and helpful.